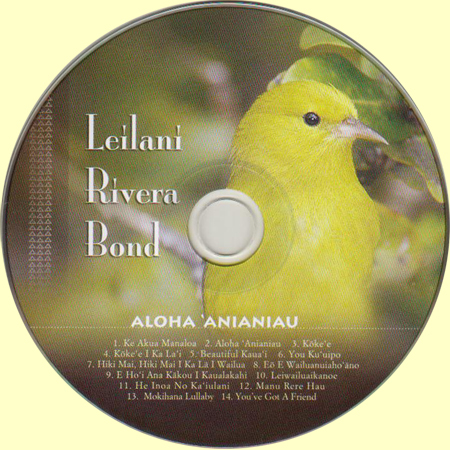 Aloha "Anianiau is Leilani Rivera Bonds latest CD. 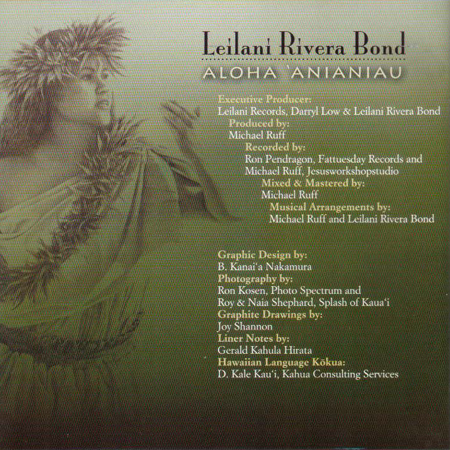 Many of the song in this album were written by friends of Leilani about Kauai. 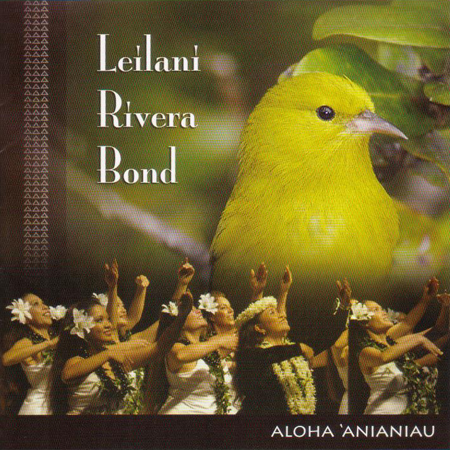 The songs are mainly about Kauai and the mountains where the 'Anianiau still sings. The booklet contains lyrics and information about the songs. Here are the CDs she has made so far. 2000 Na Hoku o Ka Lani. 2002 Pulama Ia Na Mele o Kauai. Most evening she can be found singing at the Kauai Hyatt in Poipu. She does a show around sunset at the Sea view Terrace. Some evenings she is singing. Sometimes she does the Keiki hula show with some of the younger members of her Halau Hula. 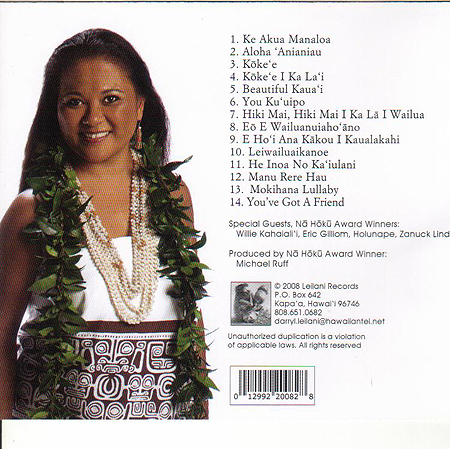 She also is a Kumu Hula and teaches Hawaiian Hula and Tahitian. She teaches all ages at her Halau. They are often seen performing around the island. Here she dances hula while her father Larry Rivera sings. She also travels often performing in Reno and Japan. Here she is on the cover of the Japanese Magazine Hula Heaven. And one more picture of Leilani at Shipwrecks. Although she dances at shows she is usually singing while her Halau dances.